A nice view of all three Paps of Jura from near the old settlement of Kilslevan. 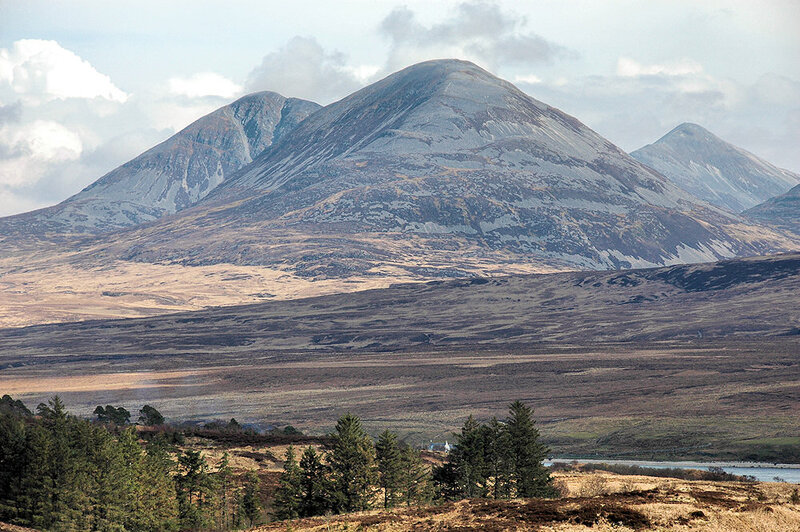 From left to right: Beinn an Oir, Beinn a’Chaolais and Beinn Shiantaidh. The Sound of Islay separating Islay and Jura can just be made out bottom right. This entry was posted in Cloudy Weather, Landscape, Repost and tagged Islay, Jura, Paps of Jura, Sound of Islay by Armin Grewe. Bookmark the permalink.